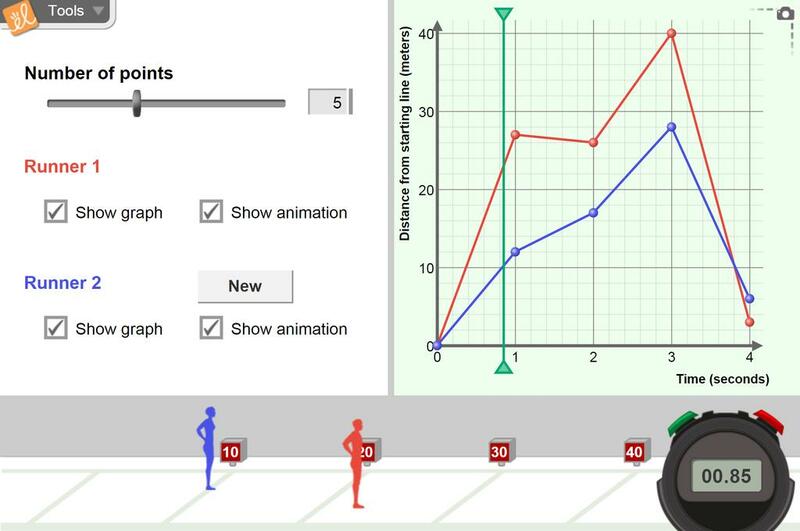 Create a graph of a runner's position versus time and watch the runner complete a 40-meter dash based on the graph you made. Notice the connection between the slope of the line and the speed of the runner. What will the runner do if the slope of the line is zero? What if the slope is negative? Add a second runner (a second graph) and connect real-world meaning to the intersection of two graphs. One of my favorites! One of the best ways to teach distance-time graphs I have seen! This is an excellent tool to help students "visualize" charting distance and time. They may need help with this though.